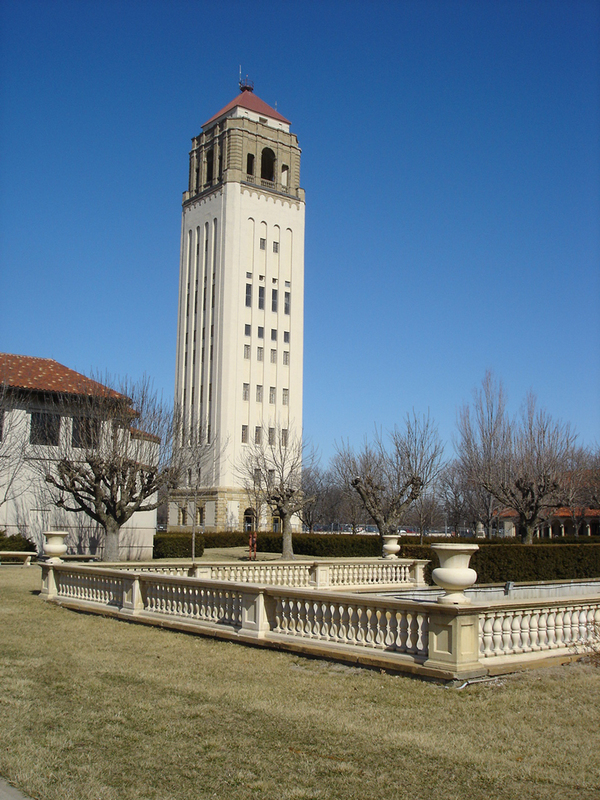 The Unity Tower at Unity Village, Missouri was completed in 1929 to provide 100,000 gallons of potable water storage for the Unity School of Christianity Campus. The tower has an overall height of 182 feet and is an iconic structure which can be seen from miles around. 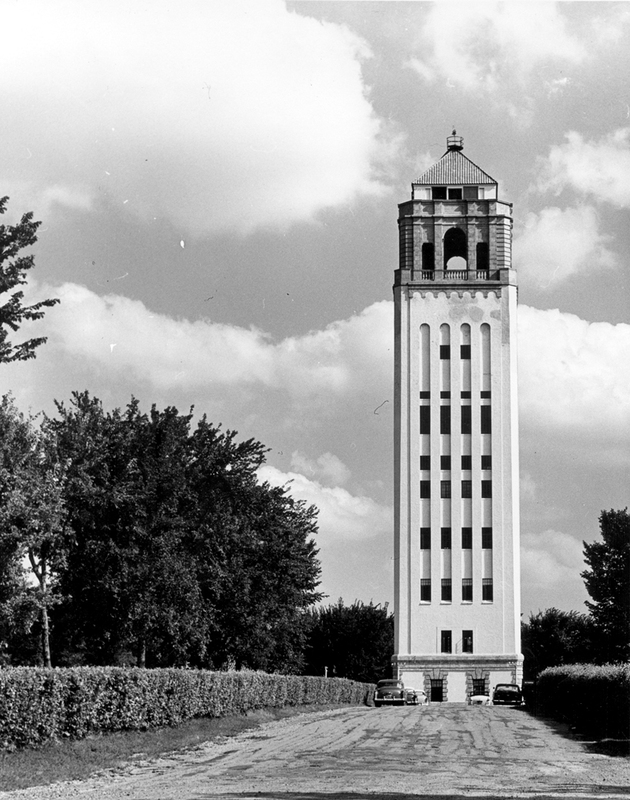 The tower is listed on the National Register of Historic Places as part of the Unity Village, Missouri Historic District. STRATA Architecture Inc. conducted four ‘drops’ to assess each of the Tower’s four exterior elevations from top to bottom. 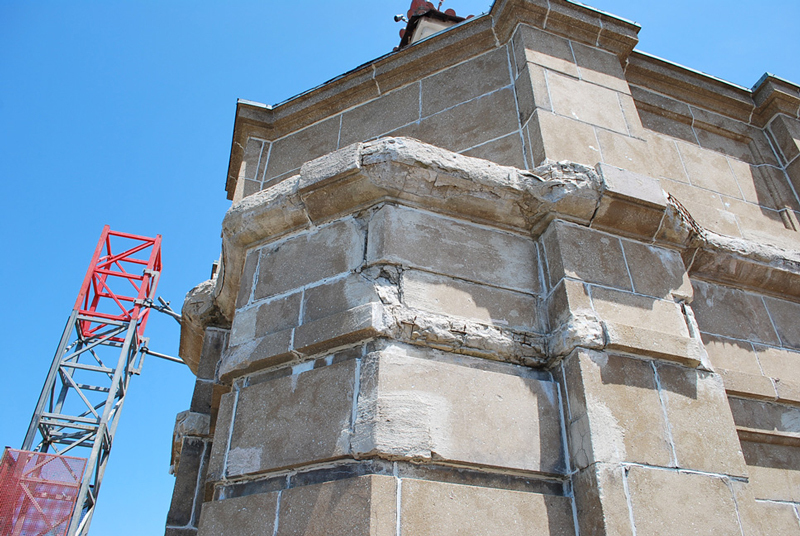 We descended the tower in a basket driven by a series of pulleys and a motor secured to the top of the structure. 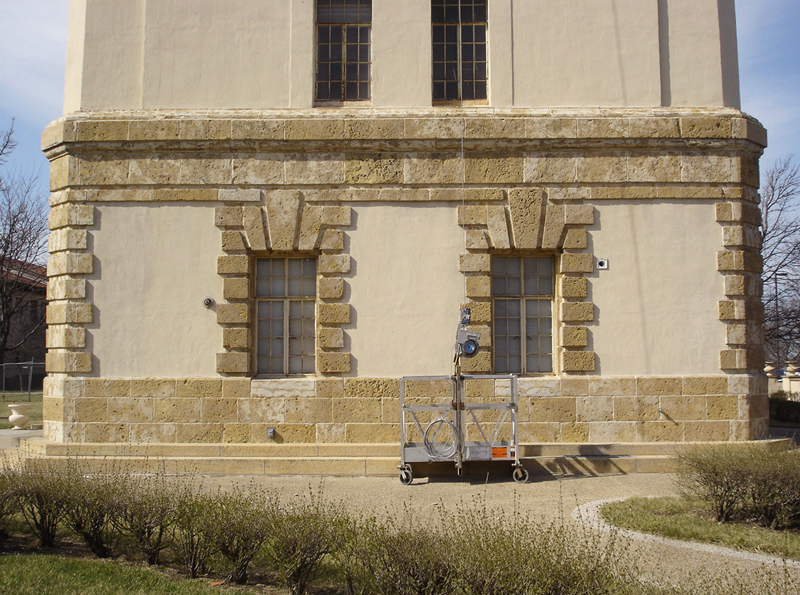 The historic structure assessment included the following materials: metal tile and low-slope roofing, native limestone, cast architectural stone, Portland stucco, and steel windows. Independent testing agencies assessed material samples that were extracted from the tower. 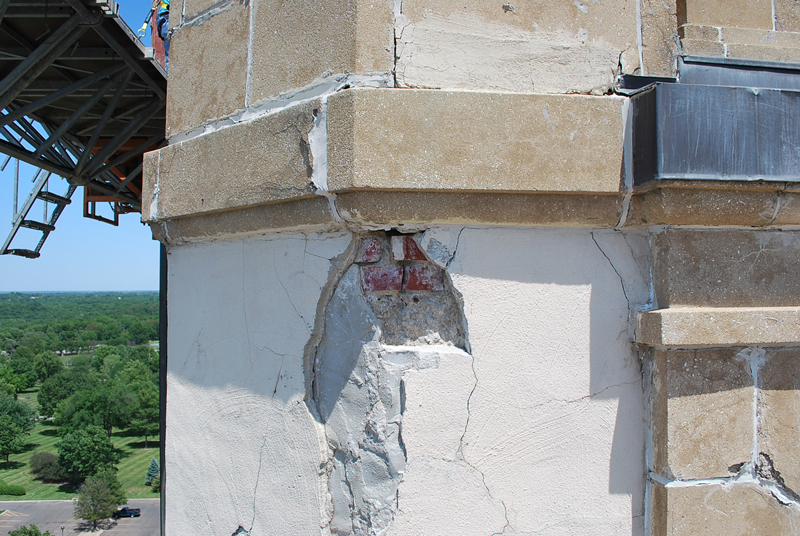 Our firm gave recommendations based on our field survey and materials testing reports for the exterior restoration of the tower. A detailed independent cost estimate was developed in order to assist the owner with the selection of future work, phasing and fund raising. Schematic Design work included a review of the existing floor plans and the existing elevator and exit stair construction. 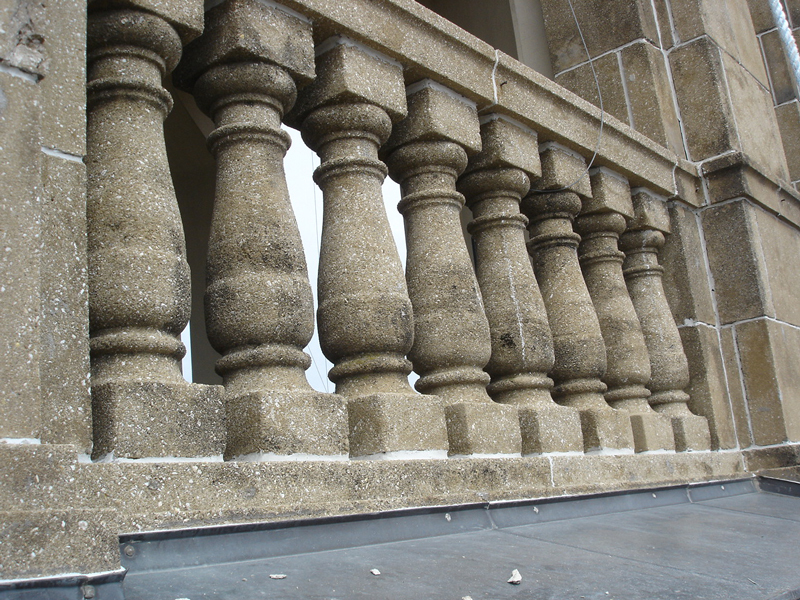 AutoCAD documentation was produced from historic drawings and field verified for each facade. Working with a code consultant, current building code factors were assessed, and a new interior fire stair was designed. As a part of this phase, we also wrote a scope of work for upgrading the existing elevator, including the cab, shaft, mechanical equipment, and construction of a new elevator mechanical room. 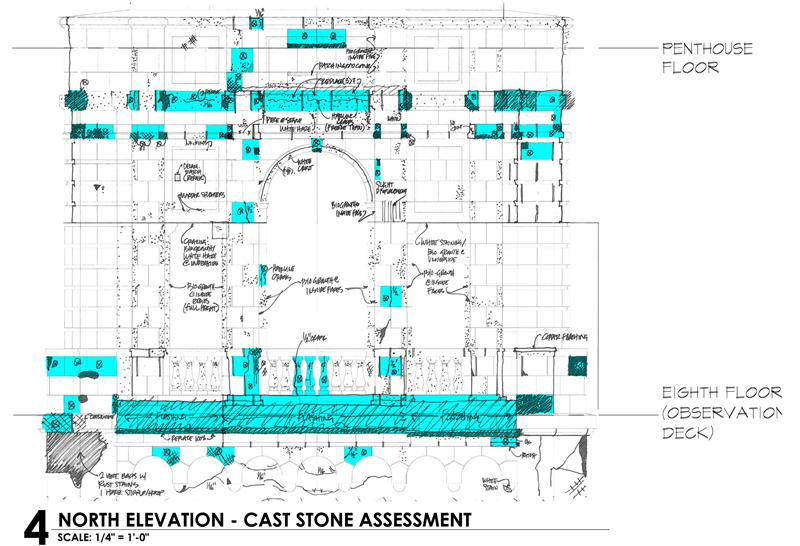 Our final deliverable was a comprehensive building assessment report including our complete documentation of each of the four elevations, materials analysis, new fire stair design, elevator upgrade scope of work and projected cost information. This report was utilized to determine the exterior restoration and interior rehabilitation phases of work which was completed in 2013.